The function of Chartering Department is of a corporate nature. The Chartering Department is responsible for meeting all the requirements of the SCI related to in/out chartering of all kinds of ships. In/out chartering requirements are communicated to the Chartering Department by the concerned departments. The function of Chartering Department is of a corporate nature. The Chartering Department is responsible for meeting all the requirements of SCI related to in/out chartering of all kinds of ships. In/out chartering requirements are communicated to the Chartering Department by the concerned departments. Accordingly, the department enters the requirement in the market as per the chartering procedures laid down. Negotiating officers then negotiate and finalize the business. 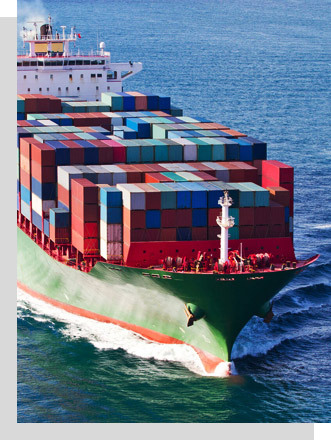 The businesses or vessels are normally fixed through broking channels or sometimes directly with owners or charterers. Once the business or vessel is fully fixed, all the necessary documentation is done as per laid down chartering procedure. The Charter Party is drawn and passed on to concerned department for necessary action. Providing market information to the management through daily/monthly reports. Preparing monthly reports on in/out chartering fixtures concluded by the department. Reviewing performance of the brokers on a periodic basis. Clients expect smooth operation and optimum utilization of vessels in accordance with Charter Party provisions. In order to give clients the best services, the concerned operation departments (Technical and Commercial) are in constant contact with the vessels/various agencies/clients so that the operations are executed as per the clients expectations and C/P provisions.